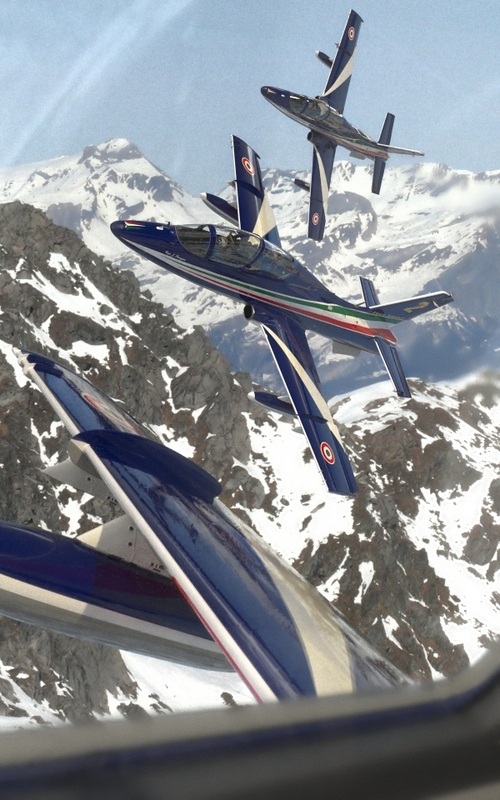 This work shows an aerobatic formation of three Aermacchi MB-339 PAN from the Italian “Frecce Tricolori”. Find an updated version of this image here. The background is a texture from cgtextures.com. Thanks to them for the great textures. Thanks to blendpolis.de and blenderartists.org for the friendly and helpful feedback. Aermacchi Mb-339 PAN Mesh turnaround from Blendipel on Vimeo.